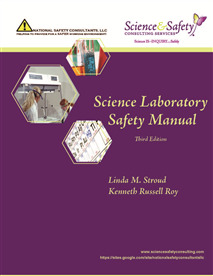 Science Laboratory Safety Manual can help science teachers, school administrators, district personnel, parents, and others facilitate strategies for safer science investigations. This manual provides guidelines, procedures, and references to help raise the standard of science safety in our nation’s schools and universities. A helpful appendix provides information about other resources, professional organizations, supply houses, and much more.